According to the style of the garment it is the measurement taken from the top back to hem. All measurements shown above are body measurements and are shown in centimetres and inches. Our garments sizes are based on the body measurements as shown in the table above but come in various different styles , some of which are loose fitting and some are more body conscious i.e. Batwing top or a Fitted Dress. 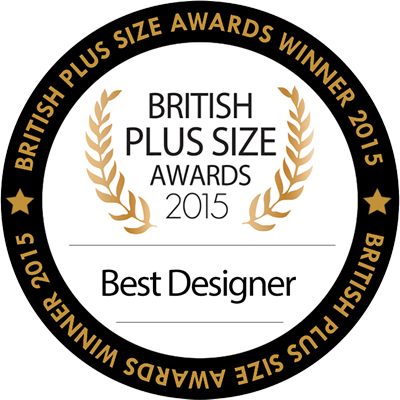 We specialise in creating clothing to fit and flatter plus size figures. We have been creating designer clothes for curvy women for over ten years, making us experts in understanding how you want to feel about yourself and your body in your clothes. From plus size designer dresses to our latest plus size collection, our clothes are designed exclusively for women in sizes 14-28 (UK), which means they’re designed to fit you and your body shape and accentuate your figure. All measurements shown above in our plus size calculator chart and figure are body measurements, which are shown in centimetres and inches. Our garments come in a range of flattering fits and styles, from something relaxed and loose, to something figure-hugging.